A special CBI court in Ranchi, which was scheduled to pronounce the quantum of punishment to Lalu Prasad Yadav and 15 others on Wednesday, is now likely to announce it on Friday, The Times of India reported. The case did not come up on Wednesday due to a condolence meeting held during the day to mourn the death of two lawyers, a CBI advocate said. The RJD chief and the 15 others who were brought to the court in the morning were taken back to jail. Meanwhile, the court in Ranchi also served contempt notices to senior leaders of the RJD and the Congress for criticising the 23 December conviction of RJD chief in a fodder scam case on television. CBI judge Shiv Pal Singh directed senior RJD leaders Raghuvansh Prasad Singh, Shivanand Tiwari and Lalu Prasad's son Tejashwi Yadav and Congress leader Manish Tewari to personally appear before the court on 23 January. 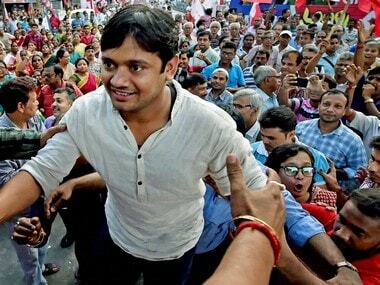 Tejashwi Yadav is leader of opposition in the Bihar Assembly. 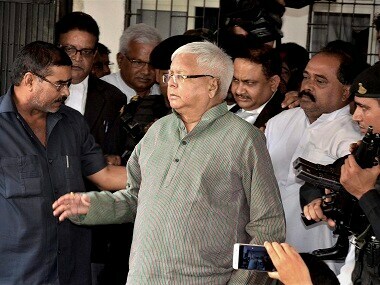 The court had on December 23 convicted Lalu Prasad and the other 15 in a fodder scam case, 21 years after it had surfaced. Six others, including another former chief minister, Jagannath Mishra, were acquitted. The case pertains to fraudulent withdrawal of Rs 89.27 lakh from the Deoghar Treasury between 1991 and 1994.